We are conveniently located to all customers in the Parma and the southern Cleveland area. We provide free tree quotes and can usually get out to your home or business the same day you call. We are insured and licensed,, and we are always professional in everything we do. We are proud to service the Parma, OH area with quality, professional, and affordable tree care. Call today for a free estimate on any service you may require. We are please to provide not only the free quote but any arbor advice on how you can improve the quality of your trees. Calling a tree company can be the least of your concerns until a situation happens. When a diseased tree needs to be eliminated, or an overgrown tree needs to be trimmed, you need professionals to handle the situation expertly. But before you sign that contract, you have to make you are hiring the best choice for the job. We are the best tree company to handle all your tree care needs. We continue to prove our reliability, efficiency, and skills throughout the years. Our satisfied clients can speak for our excellent service and dedication to customer service. We always put our best foot forward to provide our clients with a trustworthy service they need. Trustworthy- The people you will task to do your tree care needs will have access to your property. They will do the job whether you are watching or not; that is why it is a must that they can be trusted. You can be confident that we employ the most trustworthy individuals for the job. We carefully screen and background check them to ensure you only get the best service you require. Hardworking- You need a tree care company who can finish the job as soon as possible. We will make sure that we can finish the job in no time without compromising the quality of the result. Skilled- You cannot leave the job to anyone who has a chainsaw. Tree care requires specialized skills, and that is exactly what our team has. You should hire professionals who know how to trim or remove trees without causing damage to your property. Honest- We deal with every client with all honesty. When we give you the estimate for the job to be performed, we do it with all fairness in mind. We don't keep any information from our clients and always say what is best for their trees. If the company you wish to hire doesn't have all these traits, you should consider hiring another company. Do not put yourself and your property at risk by hiring a company that only cares about your money. The secret to any successful tree care company is its professionalism. You can expect us to deal with you and your tree needs with utmost professionalism. When a company is professional, it gives the client peace of mind that the job is done correctly and with efficiency. We make sure that our clients are always our top priority and our goal is to deliver service that will guarantee to satisfy our clients' expectations. You will be talked to by our personnel and not by an answering machine when you first contact us for our service. You will get a personalized email when you try to contact us through email, or we can give you a call so we can talk more clearly. We will ask as many questions as possible to learn about the project we need to do. Then we will set an appointment to inspect the tree to deal with. From the beginning of our service until the end, we will make sure you feel important. We will focus on your needs and give it undivided attention. We don't do jobs haphazardly and make sure every detail is taken care of. Some tree care companies don't do the job well and barely complete the project so they can jump to another property to do another tree job. Parma Tree Service dedicates our time and commits to making sure your trees are given the attention and care they need. 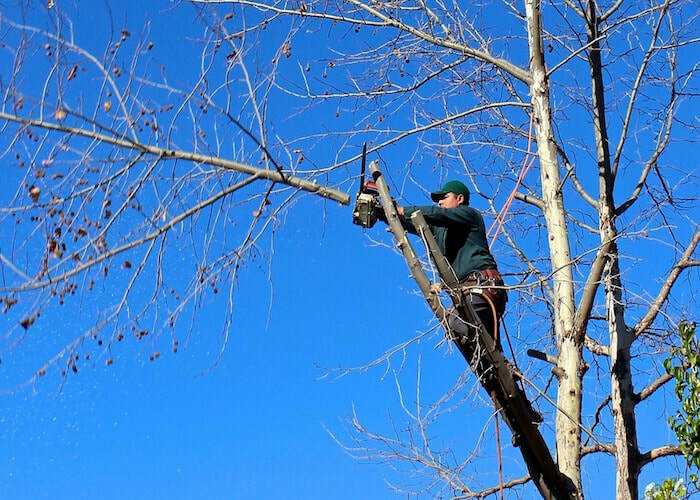 ​We can talk all day about why it is crucial to hire a professional tree company to do your tree care needs, but we can summarize it with this statement: Nothing is more critical in tree maintenance than keeping yourself and property safe from harm. The risks involved in tree care cannot be set aside; that is why we always recommend our clients to get the assistance of a professional tree company. A professional tree service company is liable for any unexpected accidents that may happen while they are in your property. When you hire a professional tree company, you can make sure that they are insured and they will be responsible for any damages incurred in your property. Contrary to what others think that hiring a professional tree care will cost them money, it can save you from spending much in the future. If you are not knowledgeable and don't have the right equipment to perform tree maintenance, you may cause more harm than good. Hiring a professional company is a cheaper and smarter move than doing it your own only to put yourself and your property in danger. We are a full-service company that offers different types of services to meet all your tree care needs. We deliver our facility in Ohio and its surrounding areas. We will carefully inspect your tree to ensure that we only provide what your tree needs. If you have any tree care needs, call us right away, and we will be more than happy to assist you! 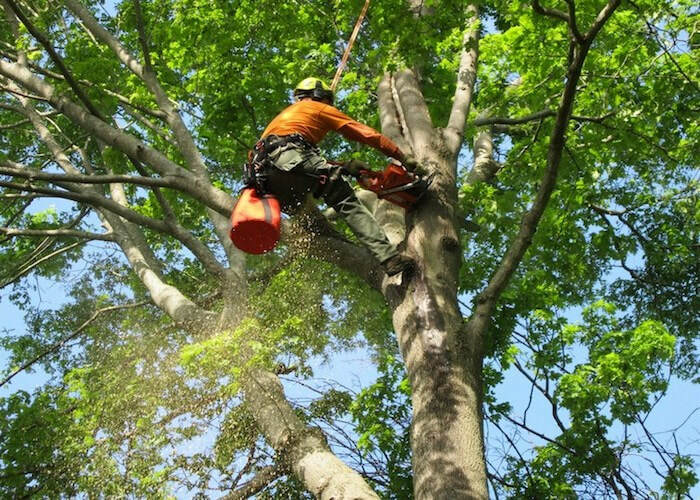 Among all our professional services, tree trimming is the most requested. Trees in the landscape and the ones in the forest are different when it comes to their maintenance. Forest trees don't need to be trimmed regularly because there are no properties that can be damaged when a dead branch falls off. However, this is not the case for landscape trees. When a tree overgrows in a yard, there is a possibility that the branches will hang or be in contact with some of your properties. An overhanging branch can fall off the roof and cause severe damage or injury to any of your loved ones. Also, trimmed trees look much more beautiful than those that are not. Whether you need someone to do a simple inspection of your trees or you need a tree removed for safety, we are one call away to provide the exact service you need at an affordable price. You don't have to look for other companies to cater to your needs because we are a full-service company that can provide you with every tree care service that you need. We employ the most qualified and certified arborists to make sure that the job is always well taken care of. We have state-of-the-art equipment to aid us with every tree project we complete. We can handle all types of tree care services that will sure to impress you. No job is too small or too big for us. We treat each job with the same passion and responsibility to ensure all our clients are equally satisfied. If you want to know more about our services, give us a call today, and we will discuss with you your options. You may also set up an appointment so we can evaluate your tree for free. We will assess the area and look around to see what issues need to be addressed. We will draft an estimate that is custom for your needs. Throughout the process, don't hesitate to ask us questions because we will be more than willing to give you answers and provide proof of our certifications and insurance. We will never pressure you to schedule tree care services until you are ready. There is no hassle when you get our service. You are one call away from getting the best professional tree care that you are looking for.